Glorious wind and sunshine were a welcome change for the first part of the ISAF Sailing World Championships, held in Fremantle, Australia. With three additional races held last Thursday in the Laser Radial, Paige Railey has an overall third place, to date, in the series. By making the cut into the gold fleet last Wednesday, Railey secured a country berth for the U.S. in the women’s singlehanded dinghy event at the London 2012 Olympic Games. 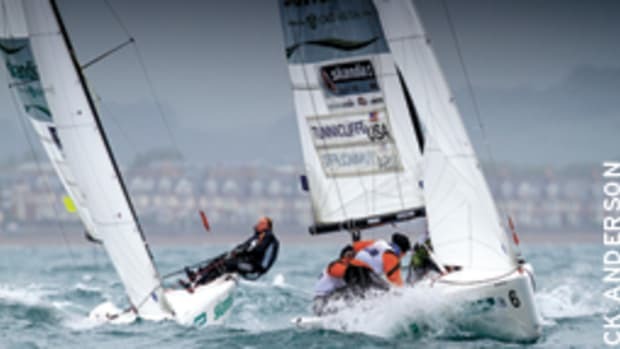 Her teammates, Anna Tunnicliffe, Molly Vandemoer and Debbie Capozzi finished atop Group A – with 12 wins, three losses – and advanced straight to the Women’s Match Racing quarterfinals, and by doing so they qualified the USA for the 2012 Games.